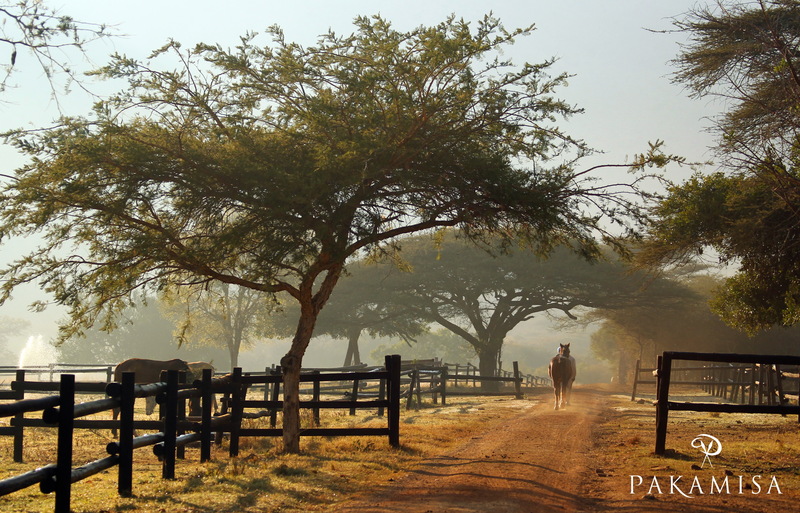 Early morning at Pakamisa Private Game Reserve. What a great experience it is to get up early and watch the horses leaving their boxes and walking into freedom, the vast pastures and veld of Pakamisa Reserve. 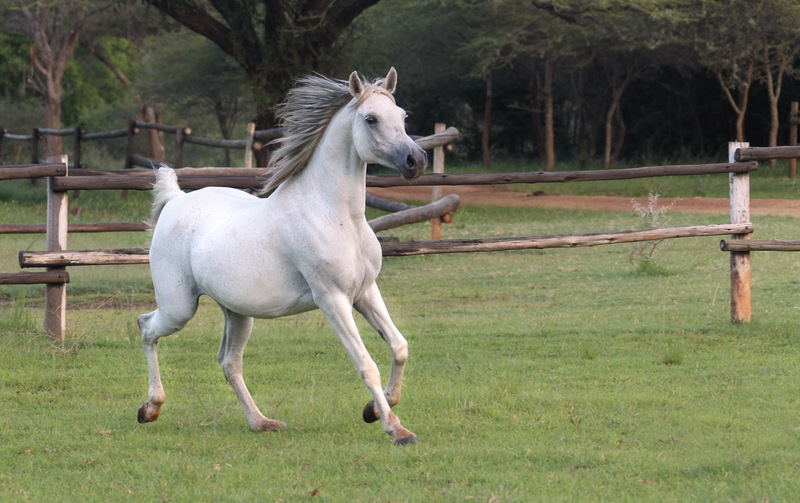 Frank, leading the Arabian mare Baracka (Jumanji x Baccara) to her pasture. This is an image taken in January, when we had good rains and grass was in abundance. 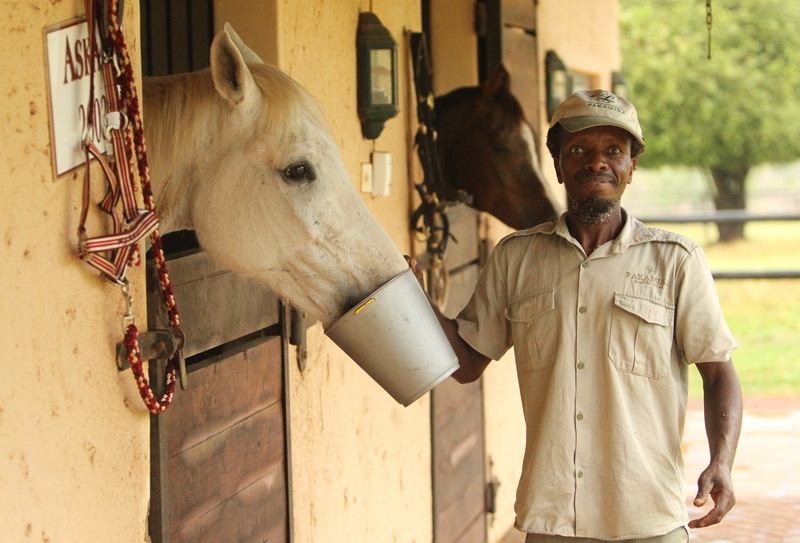 Nelson, he is with Pakamisa over 16 years, in charge of the welfare of our horses. 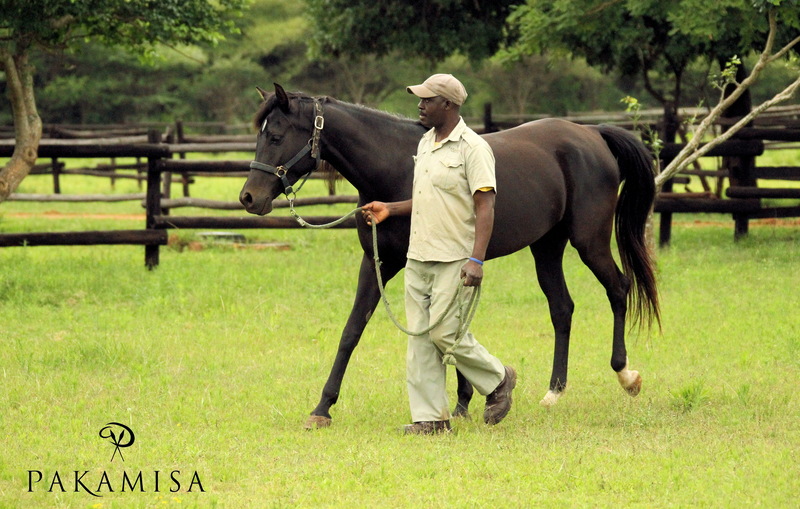 Nelson guiding the Arabian mare Kariba. 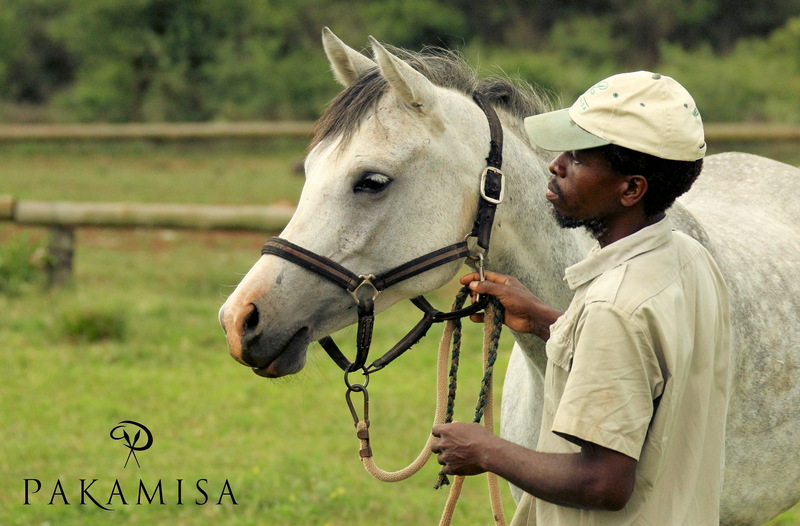 She is a wonderful young mare, her father is our stallion Prinz and her mother is Kara, another Arabian Beauty living at Pakamisa. 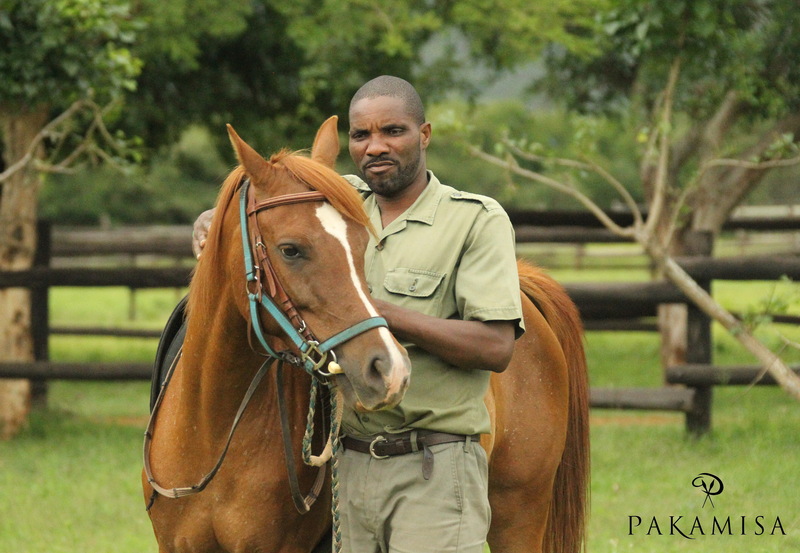 Simon, our head groom at the Pakamisa stables, checking that all tack is in order on BOLINA, another lovely Prinz daughter, out of an Spanish Arabian mare. 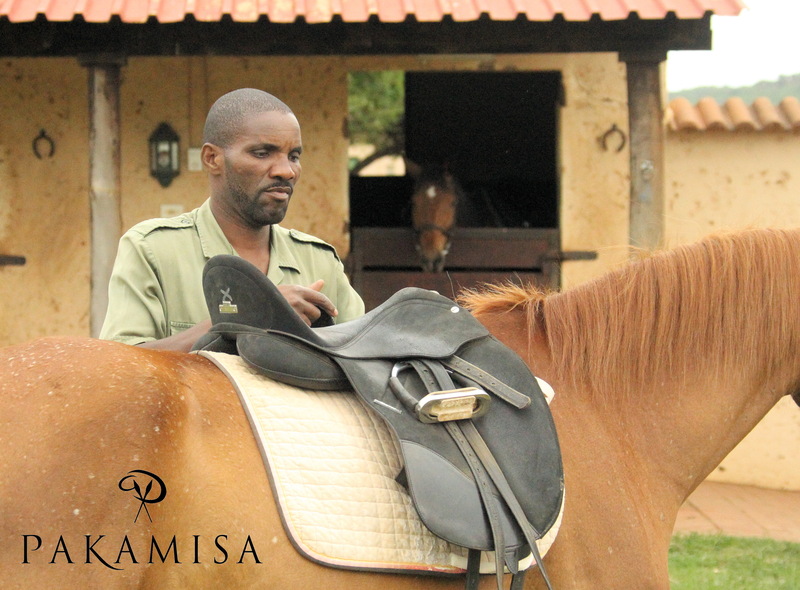 Saddles & bridles get checked before the rider gets onto the horse. Here again, Simon saddling up Bolina. Enjoy a fantastic out ride in the Pakamisa Game Reserve, this photo was taken in one of our winter months, when the bush turns into yellow colours. Thank you for the most enjoyable pictures of your wonderful horses. Especially Baracka is an incredible beauty. Wish I could be there.